This resource is ideal for upper primary to secondary school students. It provides 14 visual graphic organisers to help students work through and understand semantic concepts. 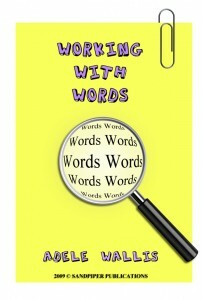 The resource can be used with students who have a specific word finding difficulty, but is also great with students who have a learning disability to reinforce all aspects of the target vocabulary in any subject area. Graphic organisers are clear and simple to use - either individually, with small groups or in class settings. The graphic organisers provide support professionals with a simple strategy to help support the students learning, extension and memory of important across-the-curricula concepts. Each semantic strategy is explained on one page, with the graphic organiser on the following page (provided as a black line master) and a completed version of the graphic is given showing a simple example of how it can be used.